Included in this project is a week long salt dough project and research. The project is broken down into 5 days with a detailed description of the lesson for each day. (Each daily lesson/activity takes about 30-40 minutes.) A rubric for grading the project is included. Making ornaments is a great way to celebrate the holidays with your students. This visual recipe for salt dough ornaments is a great resource for Special Education, Life Skills, or Elementary classes. My High School Life Skills students have tested and approved this recipe. This project allowed students to create a relief map using salt dough to create a map of Virginia. Several locations that students need to know are included (cities, rivers, regions, border states) and must be labeled. Rubric included. CAN BE EDITED! To help students understand the United States Regions, and its various landforms, elevations, we create this salt dough map every year. Now, that I have over a hundred students, I assign it as a Bonus activity to be completed at home. This is a great HANDS ON LESSON. I believe there is no better way to learn something than to really get your hands into it and create that which you are trying to learn. Geography lends itself to doing this and this lesson was created for just that: getting your hand DIRTY!!!!! The kids use an age old recipe to create salt dough. 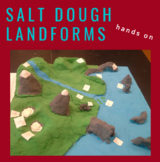 A lesson plan for creating a salt dough map of Texas Regions/ Landforms. Can be adapted for whole group/small group. Addresses cross-curricular teaching with use of addition & measurement. Texas Regions Salt Dough Map is licensed under a Creative Commons Attribution 4.0 International License. A set of instructions on making salt dough. Gives list of tools and materials. Easy enough so that the children can follow the steps themselves! Making Salt Dough- Step by step! In this two session hands-on lesson, students will learn what cartography is, how maps are made, create their own salt dough map, paint it, and be able to focus on CA's geography. 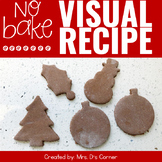 This visual recipe can be used for readers and non-readers! Only equipment needed is a microwave! My students loved hanging their ornaments in the classroom for all to see! This checklist is for student self-assessment. The checklist is designed for use with student created salt dough maps and displays.The document is fully editable. 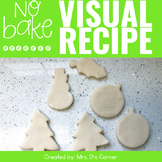 This is a fun salt dough recipe with visuals! This is ideal for students with life skills IEP goals. Perfect activity in a special needs classroom. 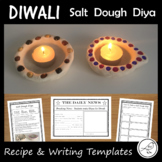 Students can make creations and gifts out of the dried salt dough that will last forever.